I decided to also do yellow and white flowers. They’re wrinkly because the papers are still in. 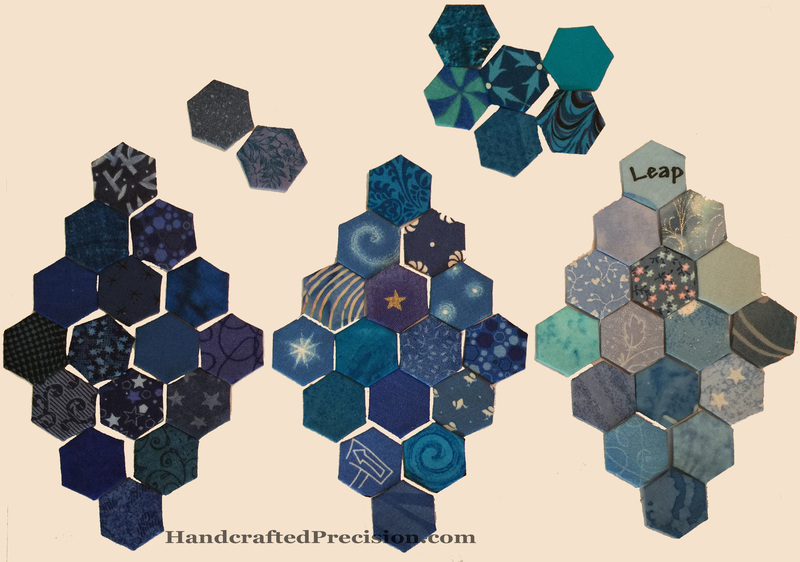 I’m really happy with how they came out (I think I did a pretty good job of choosing hues in each color that worked well with one another), and I hope they fit well into the quilt(s) that Jodi from Tales of Cloth and her helpers make for Rachel and her family. Here’s the latest from Rachel. I wish the auction hadn’t been Instagram-only. Even though I’ve been doing EPP for months now, this is the first project where I actually removed the basting and papers. It was a little scary at first, and I didn’t realize just how much thread went into the basting stitches until I was cutting them at every corner, but just feeling the fabric drape like fabric again was wonderful. 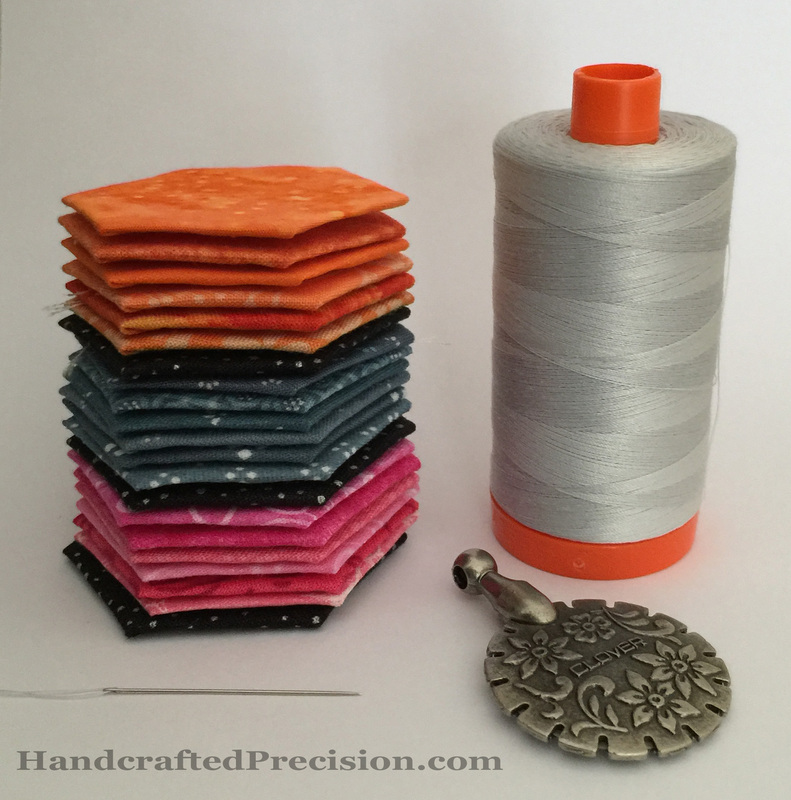 You can see that I used a thin light grey thread on the colored parts (Aurifil 50 wt, which I am in LOVE with), and a thicker dark grey thread on the parts connecting with the black. You can see both sets of stitches a little on the front, but it’s HANDwork, so I like to see it. I was worried that the seam allowances weren’t behaving, but I put all five flat into a padded mailer, smooshed between pieces of paper, and I think they’ll get to Jodi in Australia better than they left here. 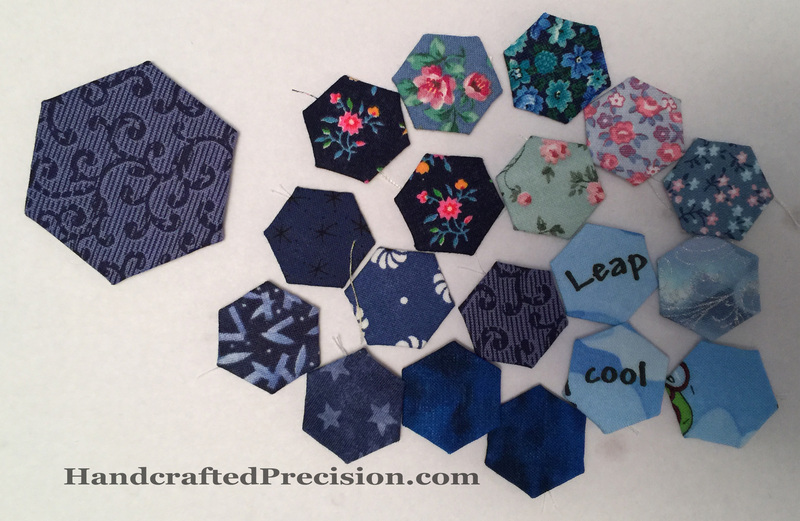 Some people were appliqueing their flowers onto background fabric, per Jodi’s assembly plan, but I just don’t have a deep enough stash to have made that viable. Also, since I had two light flowers, I wanted her to have some leeway on how she backed them (inverse for those? Light flowers and dark background? Or not). I also didn’t trust myself to do the machine applique and I had no time at all for hand applique. I hope she can use them and that they play well with other people’s flowers. This was my first attempt at contributing blocks to a quilt. I can’t wait to see what she and her helpers do with them and I hope that Rachel’s family can take comfort from them. 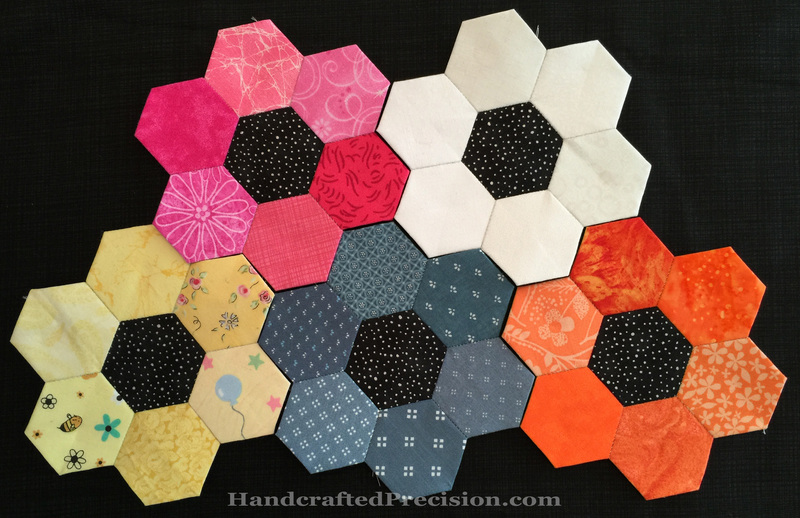 This entry was posted in Blue, English Paper Piecing, Grandmother's Flower Garden, Hand Sewing, Hexagons, Orange, Pink, White, Yellow and tagged Flowers for Eleni on March 13, 2015 by HP. Rachel from Stitched in Color, who teaches the Handstitched class that I’m taking, delivered her baby over the weekend. Things did not go as expected. I wanted to offer my support, but I couldn’t comment on her blog post with just my name and I didn’t want to email her my sympathies. 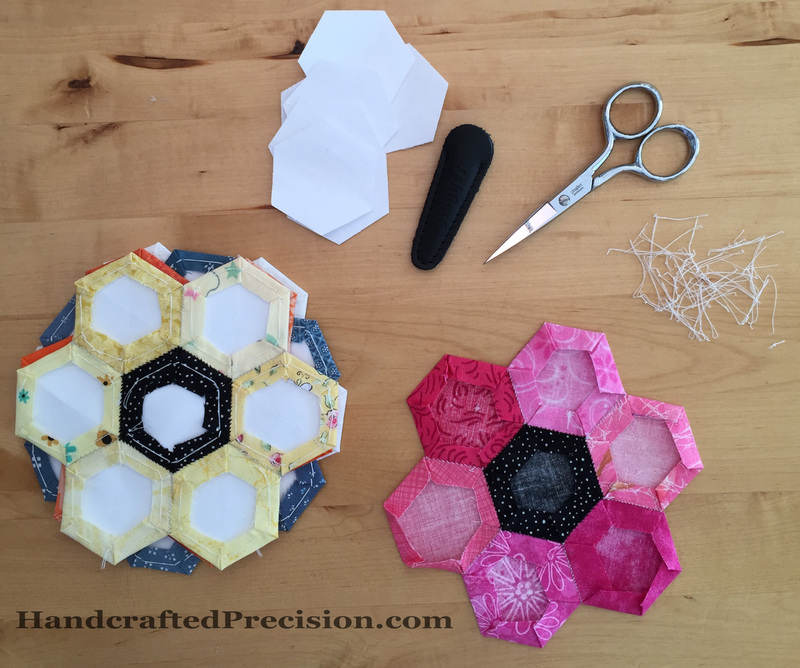 A classmate let us know about Jodi from Tales of Cloth’s Flowers for Eleni 1″ hexagon flowers project. It’s a very small way that I can come together with our community and let her know that she and her daughter and husband and other children are in our thoughts. 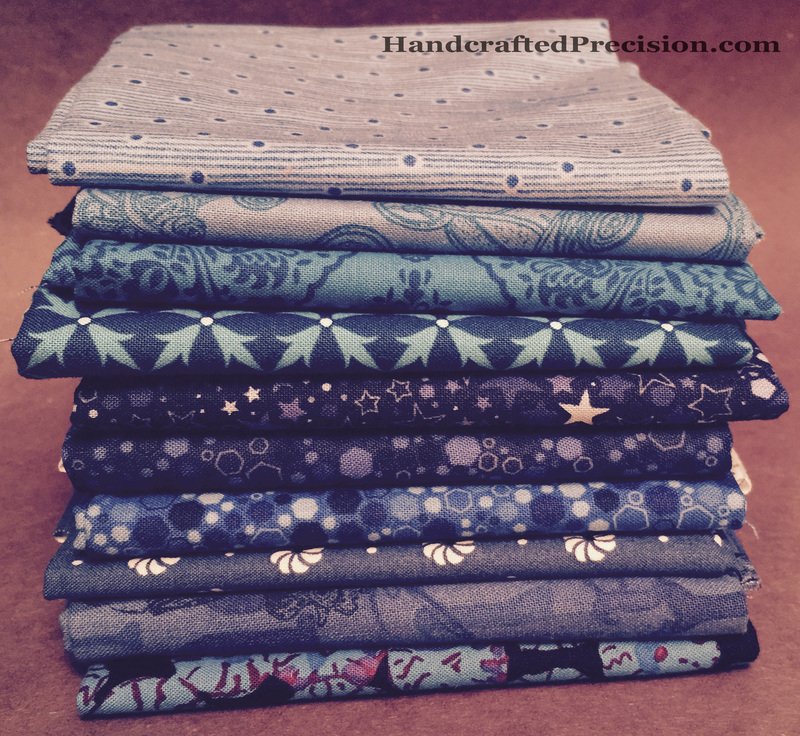 Depending on how fast I can sew these together, I’ll get them mailed on Saturday to Australia(!). If not, I’ll make a couple more and mail them next weekend. A yellow would be nice. Maybe a white-on-white. For the centers, I used my silver-speckled black fabric, which I love and which I think makes very nice flower centers. I hope doctors can soon find a diagnosis for Eleni, and I hope it’s one with a good prognosis. 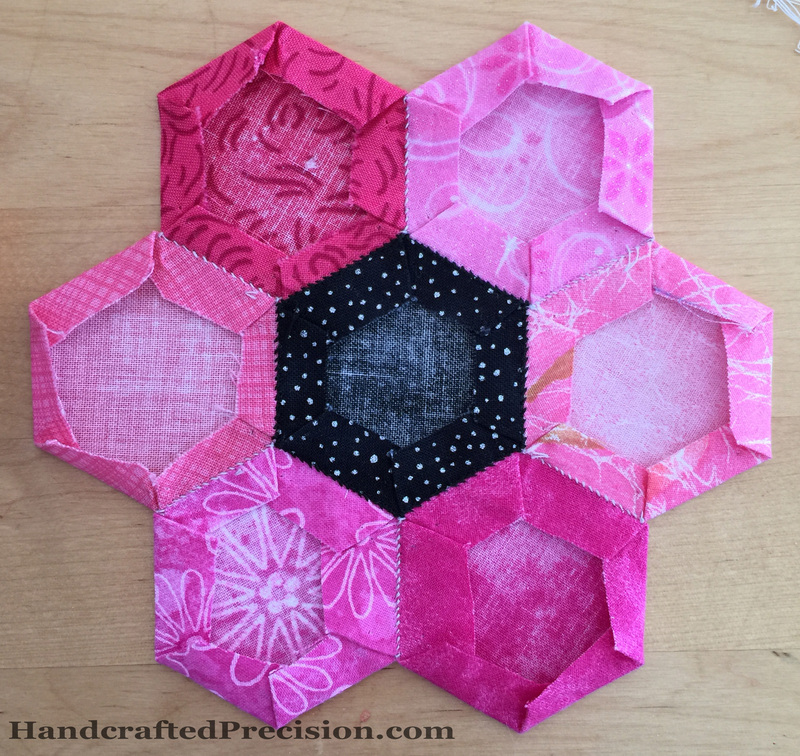 This entry was posted in Blue, English Paper Piecing, Grandmother's Flower Garden, Hand Sewing, Hexagons, Orange, Pink and tagged Flowers for Eleni on March 5, 2015 by HP. I’m not even sure what I think of these blues anymore. What is “medium blue” anyway? Argh. Well, I THINK this hexagon diamond would work for I’m Not a Machine, but I don’t even know. 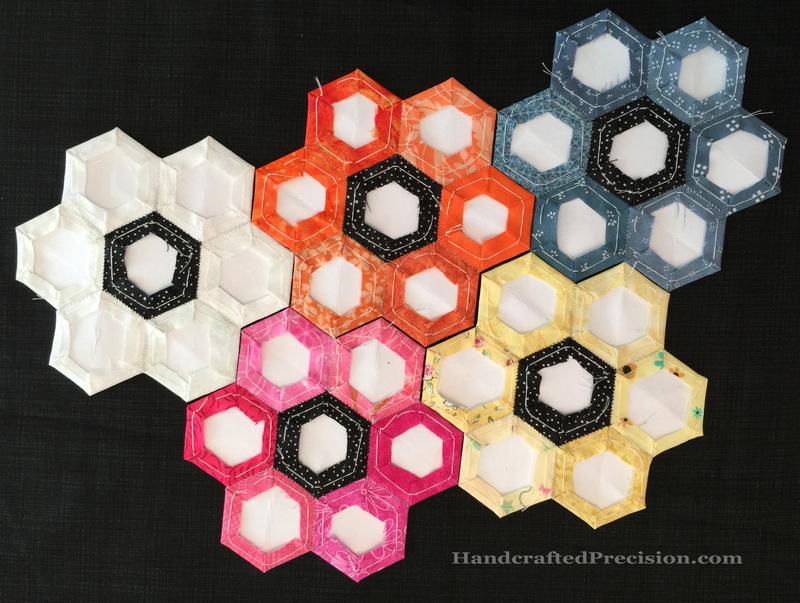 I think I need to make a yellow hexagon diamond up because the uniformity I was able to achieve on the orange one was a fluke. I think. I dunno. 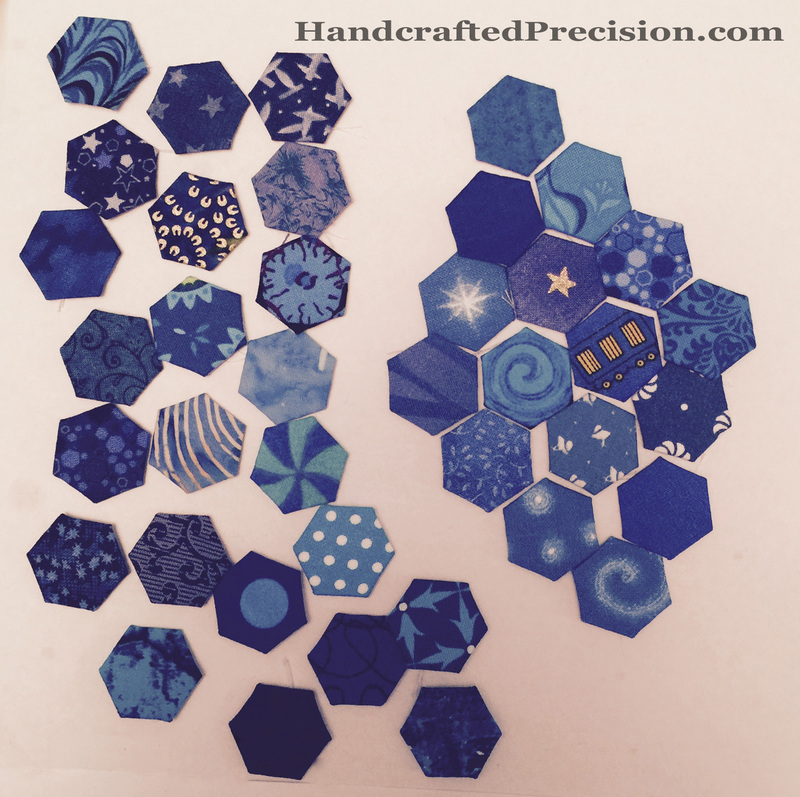 These are the blue hexagons I basted that didn’t seem even close to medium blue. Yes, one of them is green. I do love the swirly blue in the middle on the right. I’m looking forward to the “light blue” RSC month. 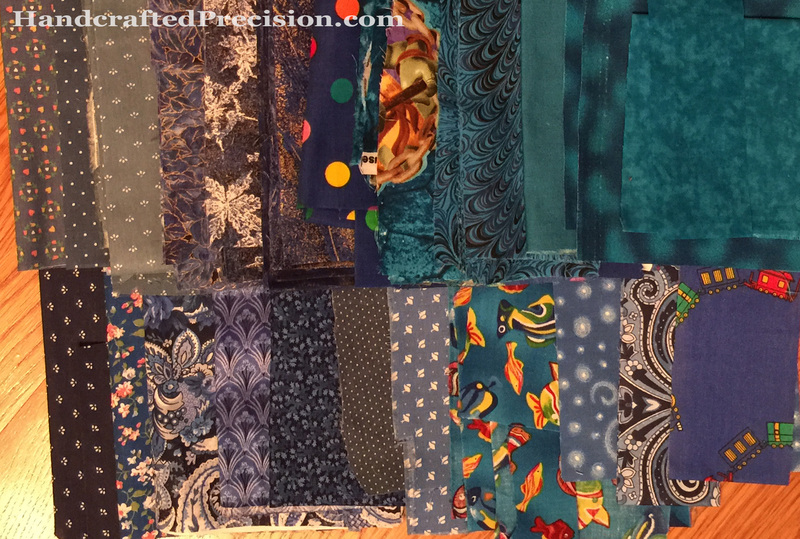 Maybe I just need to baste all of the blues and later sort them into stacks of light blue, medium blue, dark blue, and green-blue. 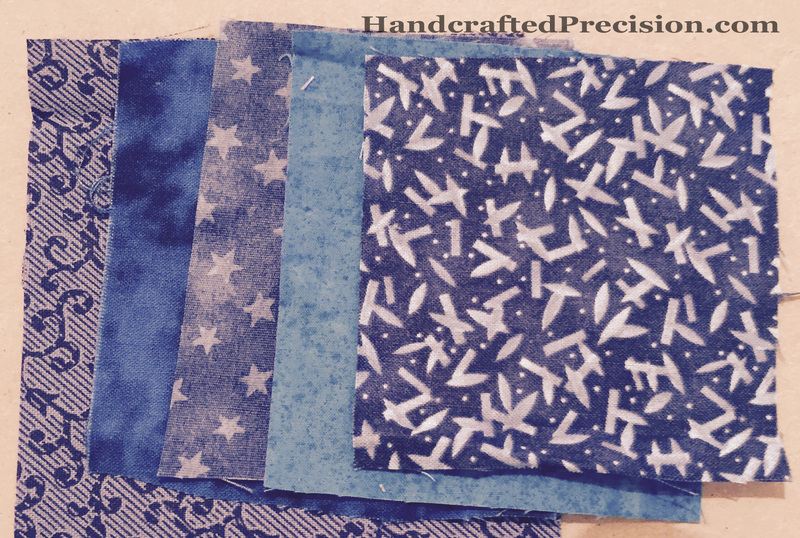 Or maybe just wrap dark blue into medium blue for only three stacks? This is making me a little crazy, so I’m mostly going to let the rest of this month’s RSC pass me by, I think. Linking to soscrappy’s Rainbow Scrap Challenge post for the week. 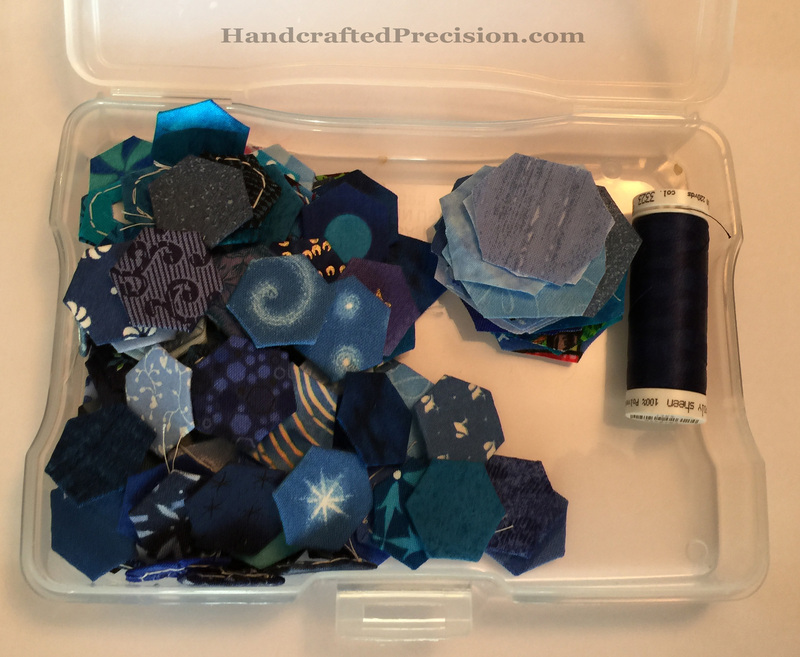 This entry was posted in Blue, English Paper Piecing, Hand Sewing, Hexagons and tagged I'm Not a Machine, RSC on January 16, 2015 by HP.